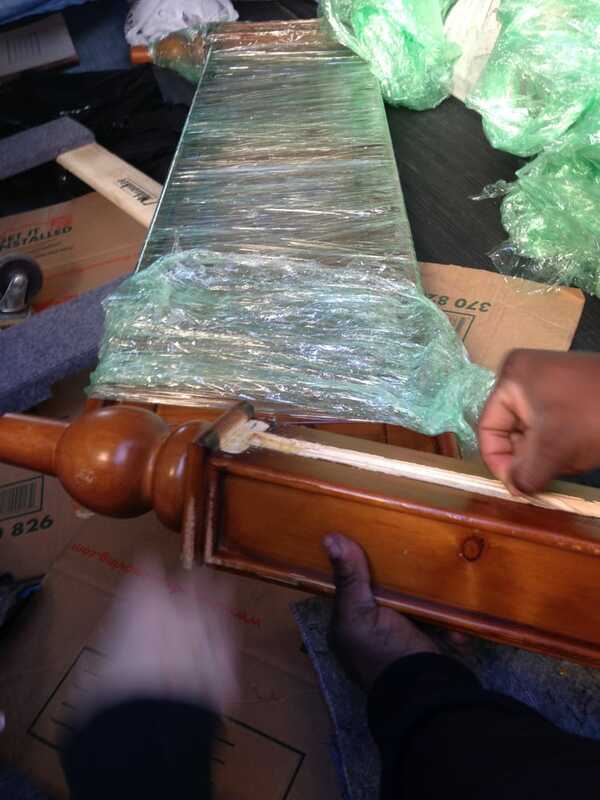 general moves, short distance/long distance moving, moving labor, packing material. Get the Two Guys without the Van! Two Guys And A Van Moving Co. provides skilled moving labor to load and unload your rental moving truck, PODS, moving crates, moving containers and self storage units. We serve all areas and we are looking forward to serving you. Let me just say, I was apprehensive about using them but a friend of mine recommended this service - as she used them more than once.All of the policies and procedures are clearly stated in the agreement and was strongly adhered to - which I didn't have a problem with. They aren't the most professional (administrative wise) but it is what it is. I support Black business and this one was well worth it.My appointment was for 10AM, they arrived 10:05. The job was done around 3PM and that's commuting from NYC (Inwood area) to East Orange, NJ. The pricing was very cheap compared to other moving companies however, you get what you pay for; they do not have a company branded truck - it's a Penske rental and the workers have company branded t-shirts. I'm okay with that. I just want the job done.We packed our own things ahead of time including the televisions; all they had to do was wrap and carry the larger items.No complaints in my book. Great job guys! Zero stars. Negative stars, even.I've moved way too many times in the last 10 years. This was the worst move I have ever had. Since we had a flat rate and not an hourly rate, the movers showed up over an hour late. 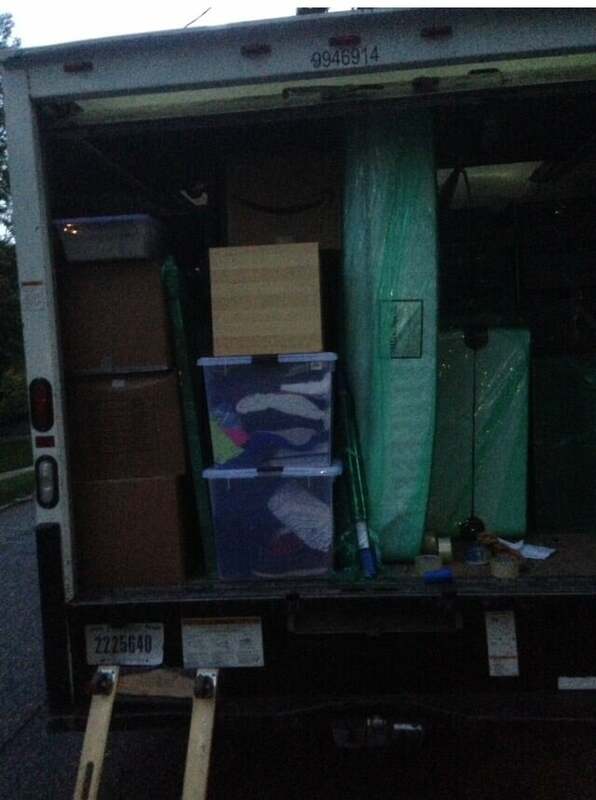 As soon as I saw the truck they bought, I was concerned that our stuff wouldn't fit (we definitely underestimated the number of boxes we would have) and immediately told the lead mover. He said he was a "tetris master" and would make it work, no problem. While yes, we didn't estimate well, there was his chance to get a larger truck and just start later which I would have had no problem with. Two broken pieces of furniture (a bar and a dresser) and TEN HOURS LATER (mind you, we were moving from a modest sized two bedroom apartment - not a castle) they admitted they couldnt fit everything and that it would be an increased charge for them to make a second trip because of how late it was. Nowhere was this stated in our agreement. Similar to others, they demanded cash payment in full because the "office was closed" and they couldnt run a credit card at that hour. Would not leave with a deposit. Wouldn't call a manager or anyone. Just stood there demanding cash in full with no warning.Not my problem that they didn't finish until 11pm based solely on your incompetence. The lead mover also picked a fight with me over whose responsibility it was that the bar broke. He had asked me if the glass piece was removable - I said I didn't know and to ask my husband. Instead of waiting to ask him, he played with it for a minute and packed it. He tried to use this to get out of having to reimburse us.We ended up having to rent a uhaul van the next day and had to do two more trips. TWO. Thats how much of our stuff was left behind.I know they're cheap. Thats why we used them. But there is a reason they're cheap. Please don't do this to yourself. Save your pennies and use someone else. I used Wizard of Oz moving two previous times and had a good experience in both instances. BEWAREZERO STARS. AVOID AT ALL COST.DO NOT. I repeat, DO NOT use Two Guys and a Van Moving under any circumstance. Unless, of course, you want to have your furniture DESTROYED AND have to call the POLICE to get them to leave.Shadiest moving company ever. 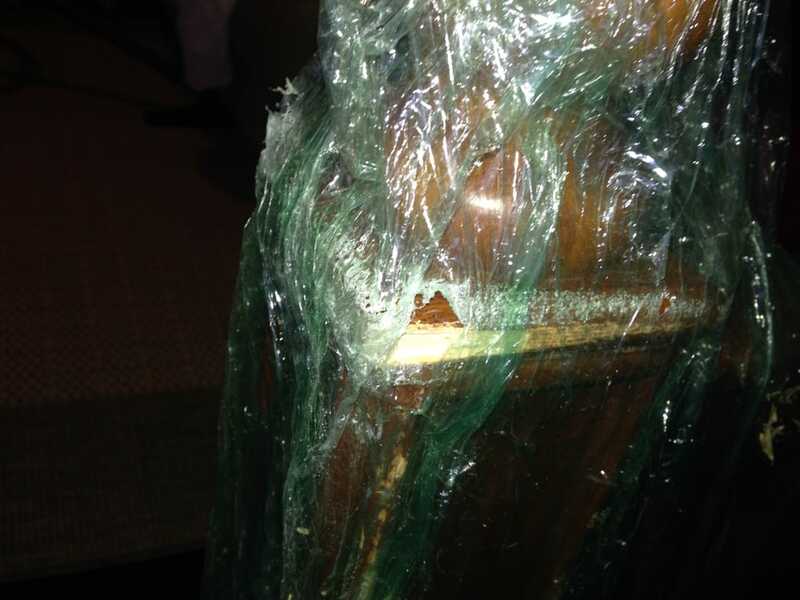 They sliced open the bottom of my brand new couch with a box cutter (while unpacking it) and broke a perfect $2k Pottery Barn wooden bed frame.To add insult to injury, they tried to repair my broken bed frame in their van with epoxy- without telling me! So- they broke a bed and tried to jury-rig it back together so it would break on me later and they could get away without the blame. 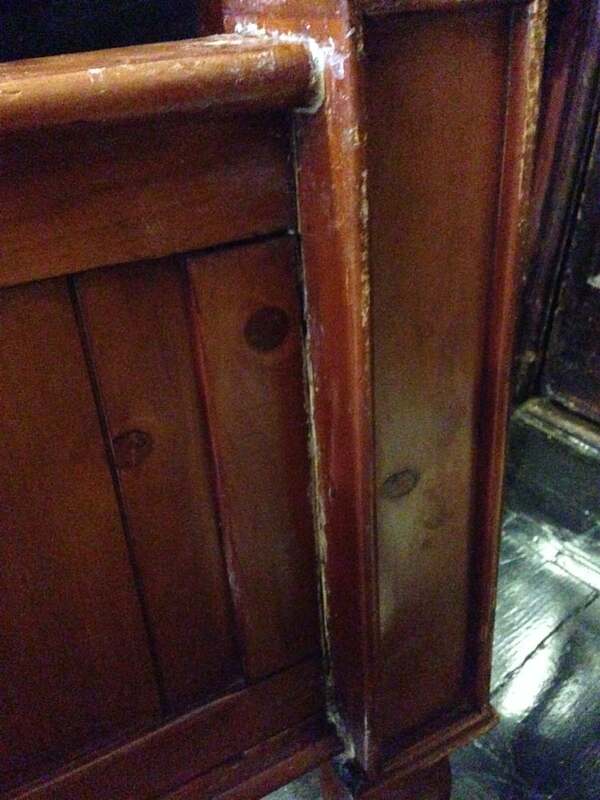 Not only did that NOT work, they got epoxy all over the bed, destroying the wood and finish. 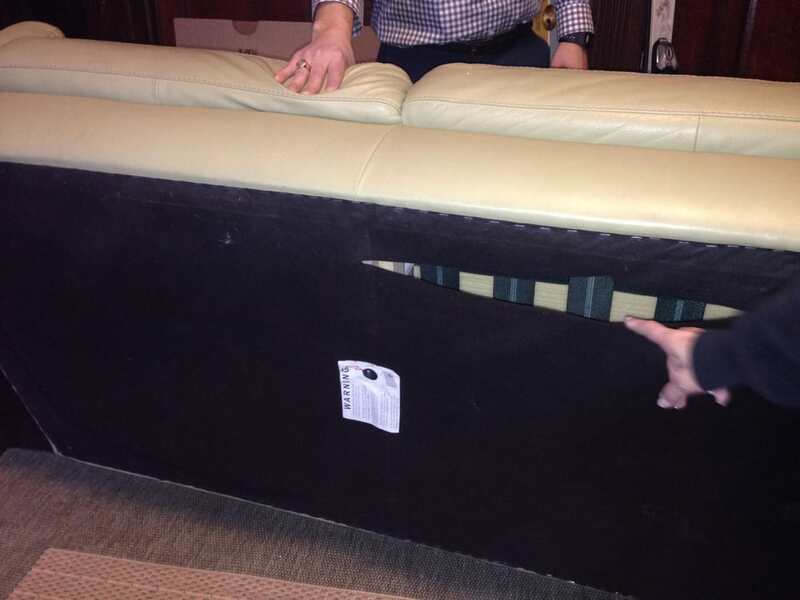 They then fessed up to breaking my beautiful bed and said they would fix it at a repair shop...WELL, when I got the bed back it was a horrible, terrible mess (see pictures) and I refused to pay for the service. To make matters worse, Rashid, their manager who delivered the bed, WOULD NOT LEAVE and DEMANDED CASH payment, even though their website said that they also take credit card. I had to CALL THE POLICE to get him to leave, after I had already given him $100 cash for a security deposit. This was by far THE WORST experience ever. I now have to file an insurance claim for the damage AND take them to SMALL CLAIMS COURT to get a refund for the move.THIS COMPANY IS NOT WORTH THE HEADACHE OR THE DAMAGE THEY WILL CAUSE.Run! Run far far away from these guys!! Not only did they pack my truck in the weirdest way leaving so much room in the back and saying there was not enough room for all my stuff. They also refused to bring my wardrobe down the stairs. They stood there for at least 30 minutes just talking before they even started, wasting time till we let them know we weren't paying them for more then the 2 hours. I mean all I have is a studio. It shouldn't of taken that long. They just threw things in the truck. Breaking some of my furniture. People spend the extra money and get real professionals. Not just two guys, who didn't even seem to know each other and were overheard negotiating price for one of the guys to stay and help.